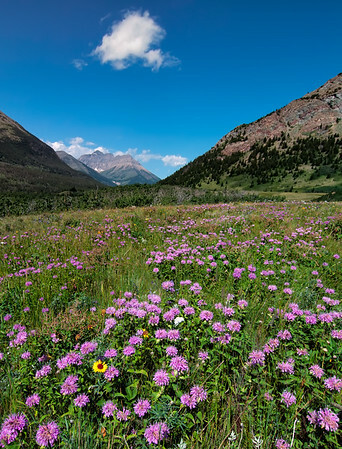 When we visited Waterton Lakes, there were a lot of flowers in bloom. There were fields and fields of these purple ones. Near the end of July is a great time to be in the Rockies.